Migraine sufferers know that the pain of a migraine is unlike anything else. It isn’t just a headache; it’s a full-body experience of major pain that can last for days. And the pain isn’t even the worst part – the nausea and light sensitivity can steal entire days from your life. Although there are plenty of remedies, both prescription and over-the-counter, to relieve migraines, they don’t work for everyone. Perhaps for those people, the Cefaly headband will finally provide relief. The headband makes the wearer look a little like a princess in a tiara, but its purpose is much more serious than playing dress-up. 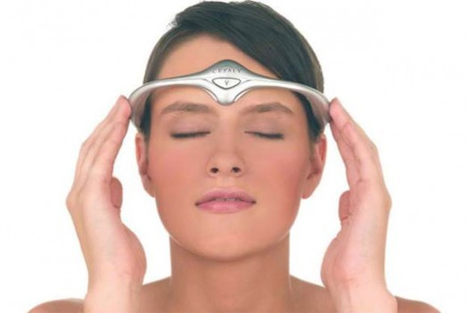 On the inside of the headband, a self-adhesive electrode attaches to the forehead. A weak electrical charge, powered by a battery, is then fed through the device to deliver transcutaneous electrical nerve stimulation (TENS), a technique that has proven effective in treating certain types of muscle pain. 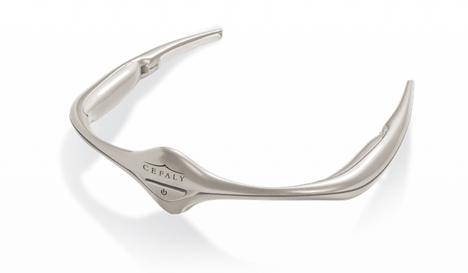 Now, the FDA has approved the Cefaly for the prevention of migraines. The device is approved for adults 18 and over, who can wear the device for up to 20 minutes a day. Although it’s technically delivering an electrical charge to your body, the only side effects are a slight tingling sensation and some mild muscle spasms, both of which go away when the headband is taken off. In a recent study, the odd-looking headband led to significantly fewer migraine days for most of the study participants.